Great Savings on obsolete boxes and overrun boxes. More than 3 million boxes in stock for immediate shipment. Check out our used boxes and save even more! SAVE BIG with our New Obsolete Cartons, New Plain Cartons, New Misprinted Cartons, and Once-Used Cardboard Boxes. Order Online! Save on New Boxes Now. 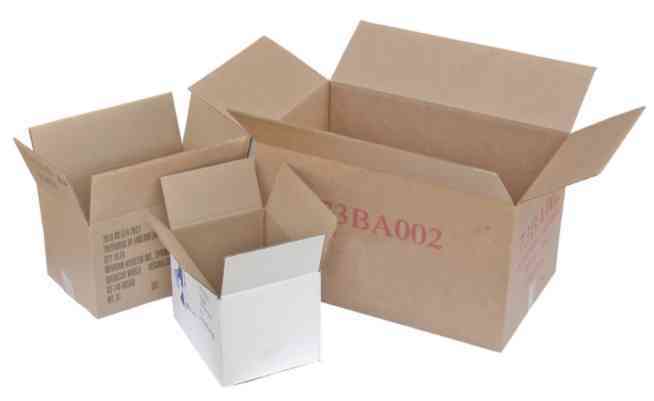 Need new, plain shipping boxes? We have them for you in stock and ready for immediate shipment. Just place your order online now. The more you order, the more you’ll save! But even one bale will beat U-line’s best catalog pricing. Plus, those other online shipping guys can’t compete with our low, low, low everyday prices! And we’ll deliver your new boxes to you fast!